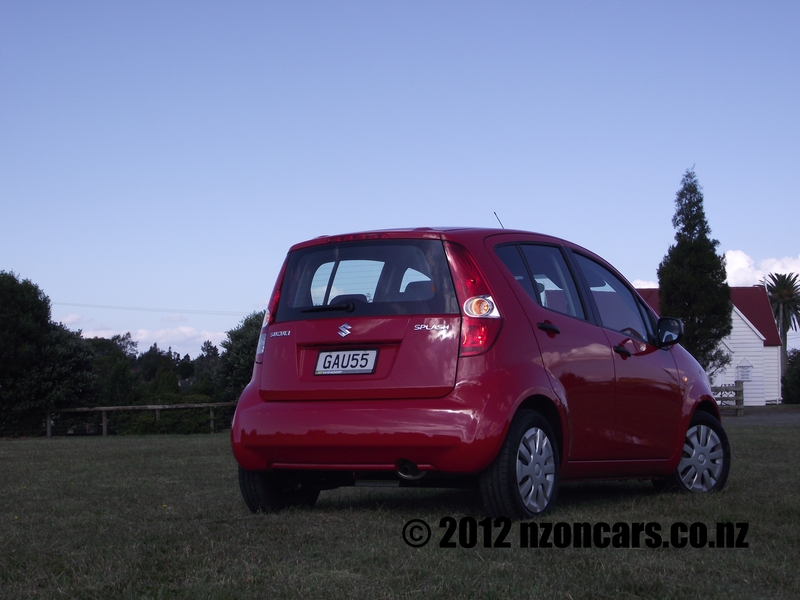 My initial thoughts on the Suzuki Splash were ‘yep, this needs to go for big splash off a short pier’. I was unimpressed with the front end styling as it is lacking any form of standout design and seems very dated and uninspiring. The equipment level also gave the same feeling of ho-humness, it’s basic as basic can be as far as modern cars are. Sure it has acronyms like ABS and EBD, but that’s where all the extras end. Other than air-conditioning the interior is just as bland. 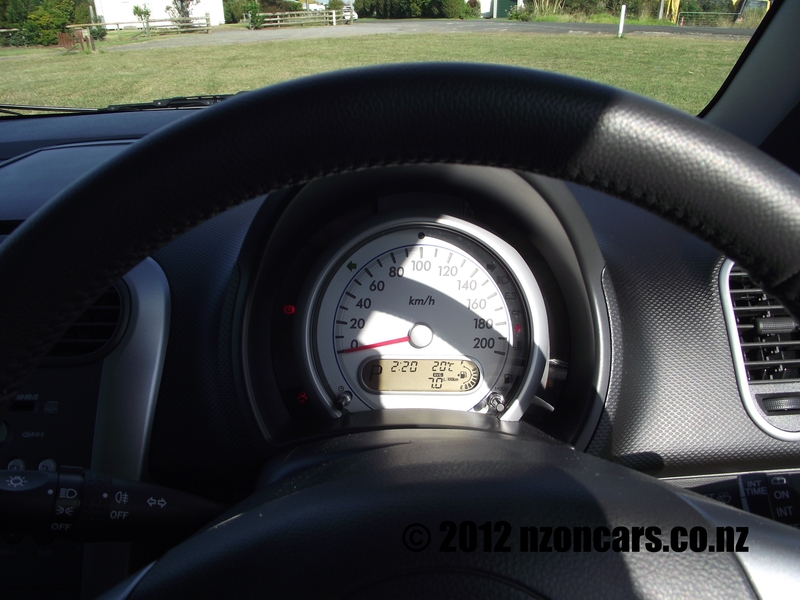 Suzuki hasn’t even bothered with a tachometer instead opting for a single large speedo with the fuel gauge and trip computer incorporated into the LED display. The stereo is AM (but who uses that anymore), FM and has a CD player but is lacking an Auxiliary input which, in all honesty, should be a standard with all cars in this day and technological age. Driving this little shopping cart, and I use the term shopping cart lightly as you will read later, isn’t a totally horrible affair. Sure it might feel like a bus to drive such is the high driving position, a feeling which is echoed by the size and position of the side mirrors but the peppy little 1.2 litre engine has plenty of up and go with 69kW and 118Nm, might not seem like much on paper but with the curb weight a smidge over a ton (1040kg) makes this little fuel sipper a wee rocket. 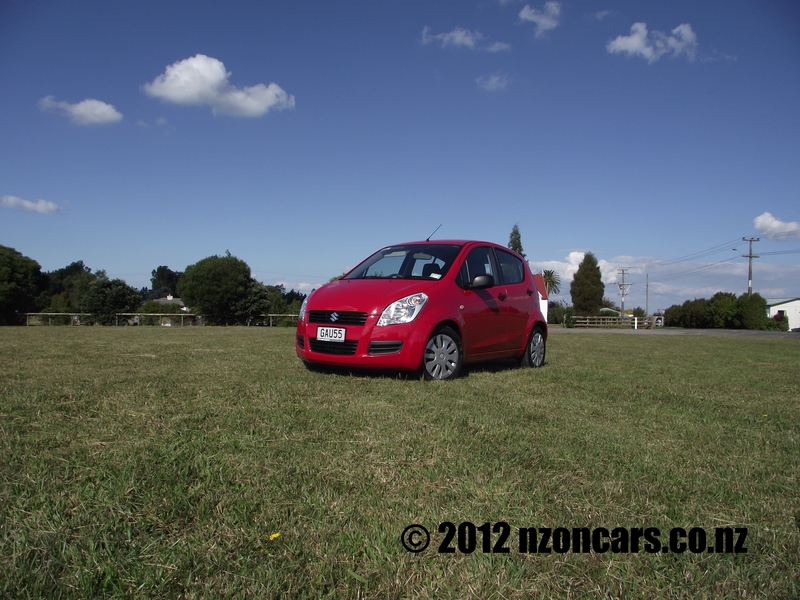 And speaking of sipping, the Splash GLX four speed automatic uses a tiny 5.7 litres per 100kms. The innards of the Splash are comfortable enough and not too hard on the eyes either. Nice touches of colour with brushed alloy look plastic on the dash and steering wheel and the single dial speedo is smart looking in white. LCD displays for the trip computer/fuel gauge and stereo have a subtle orange backlight. 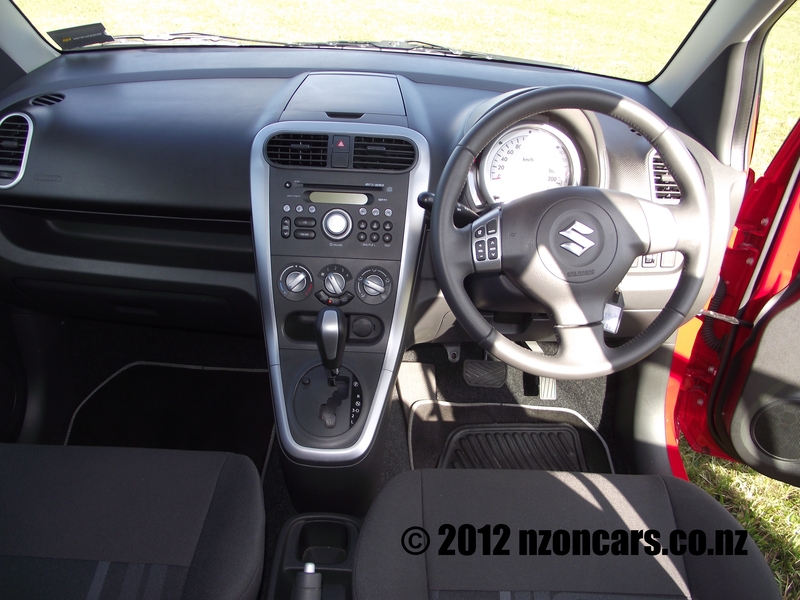 The controls are also nicely laid out and easy to reach, there are also plenty of storage spots including a very handy shelf above the glove box. Rear seat leg room is sufficient for an average height adult but you wouldn’t want to be too tall to sit back there. It was a bit of a struggle to get the rug-rats car seats in the back and to install the rear facing seat for the youngest we had to move the front passengers seat forward a fair bit which did limit the front passenger leg room. Boot space is minimal at a tiny 178 litres, well, I say boot but it really is more like a rear mounted glove box, and as you can see by the photo it does fit a pair of gloves nicely. 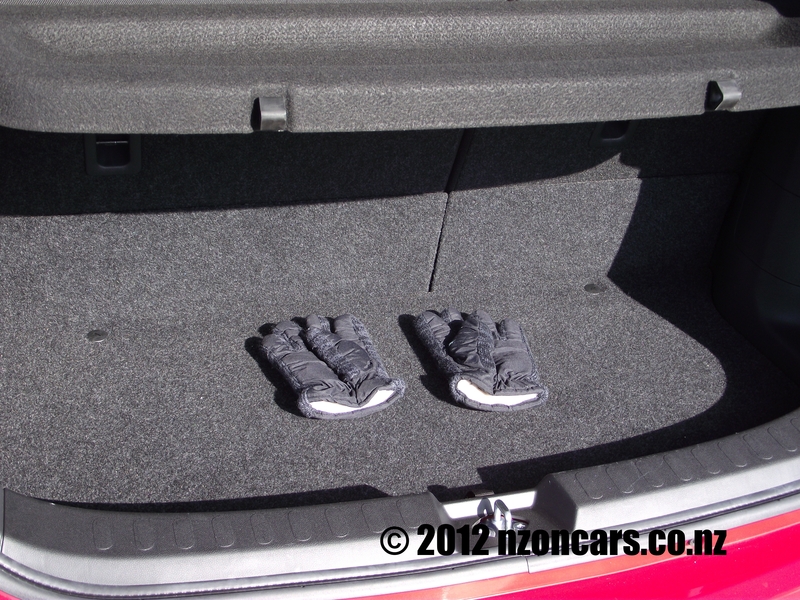 This rear glove box does grow to a useable 573 litres with the rear seats folded flat. 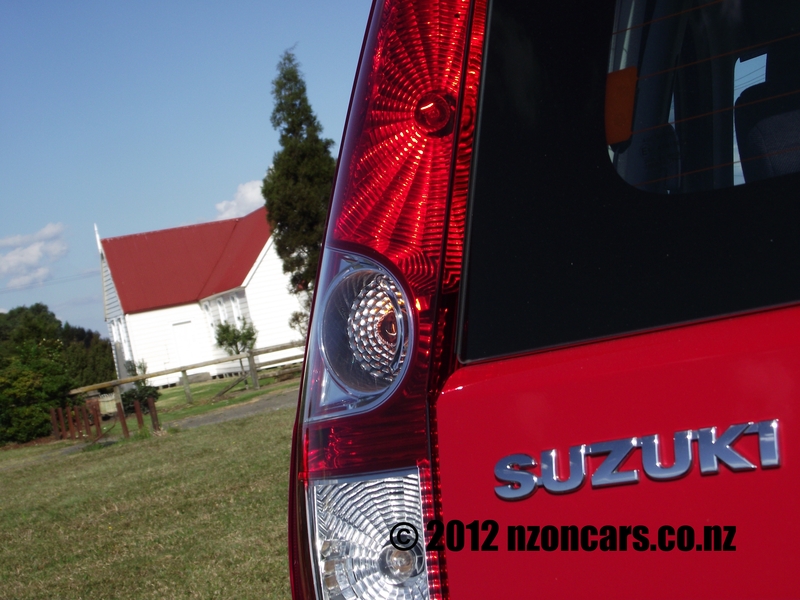 For the people that will buy the Suzuki Splash it will be a great little conveyance. These people will be slightly more aged than myself and won’t have kids to lug around unless of course they are taking the grandkids out to spoil with a trip to the two dollar shop, an ice cream, or a trip to the zoo to visit the rallies. There might be an issue if one of the said grandparents also had to take their walking frame along, not to mention a stroller for the young’uns. It must be said the Splash is good value at $20,500 for the GLX auto tested, down to $18,990 for the manual. The Splash LTD adds a fair bit more value adding alloy wheels, keyless start, electric mirrors and another acronym, ESP, at only $21,990.